Before you can import your comments into Spectora, you will need to back them up on Spectacular. 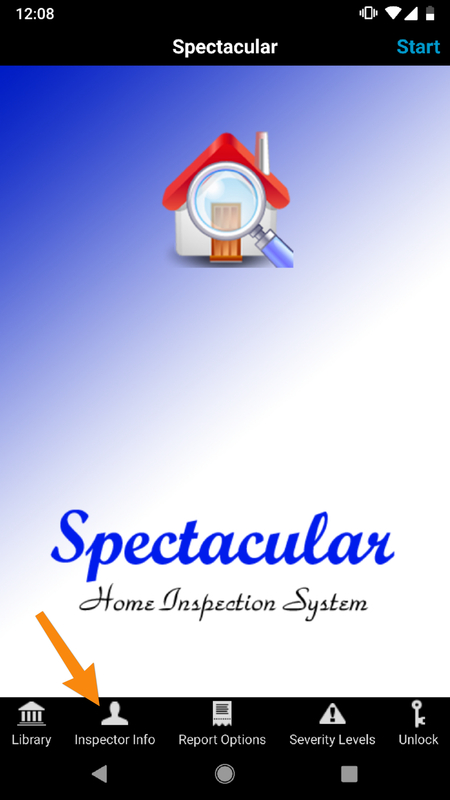 Open Spectacular and go to Inspector Info. 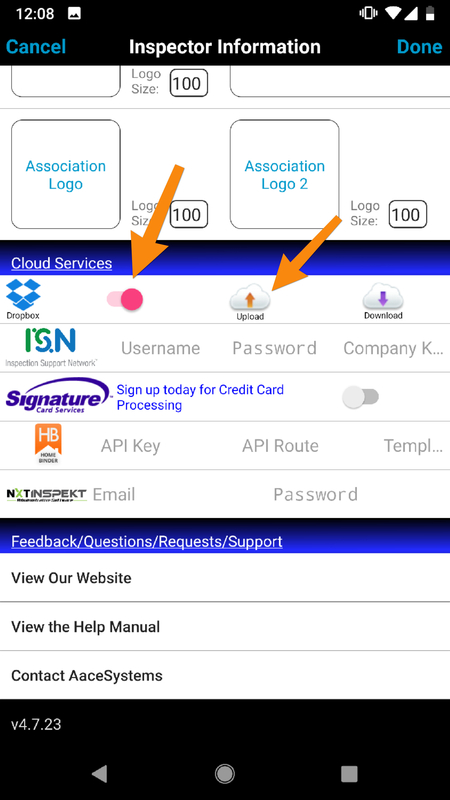 Next, scroll down to the bottom and enable the Dropbox cloud service by tapping the switch right of the Dropbox logo. You may need to set up a Dropbox account at this time, if you do not have one. After Dropbox is enabled. Tap Upload. Tap Backup from the new menu. Spectacular should then backup your data to Dropbox and we can move on to importing your comments into Spectora. Now that your comments have been backed up to Dropbox, it's time to get them from there. 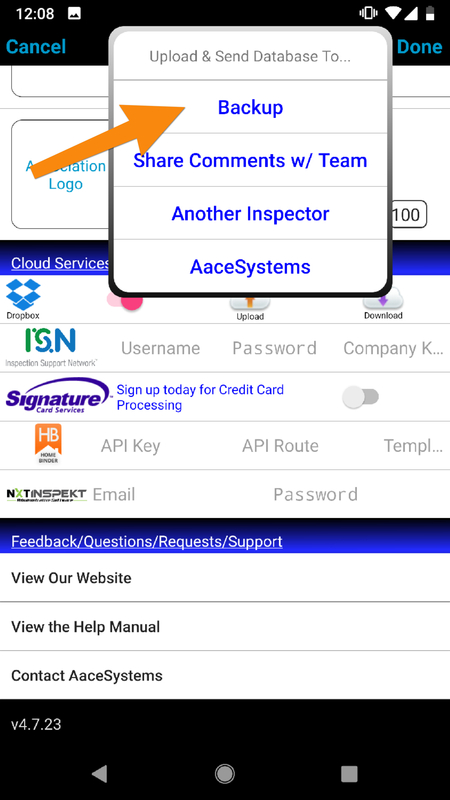 Go to Dropbox and navigate to Apps/Spectacular Home Inspection System. In this folder, you should find a file ending with .json. This is the file we will import into Spectora. Download it to your computer. 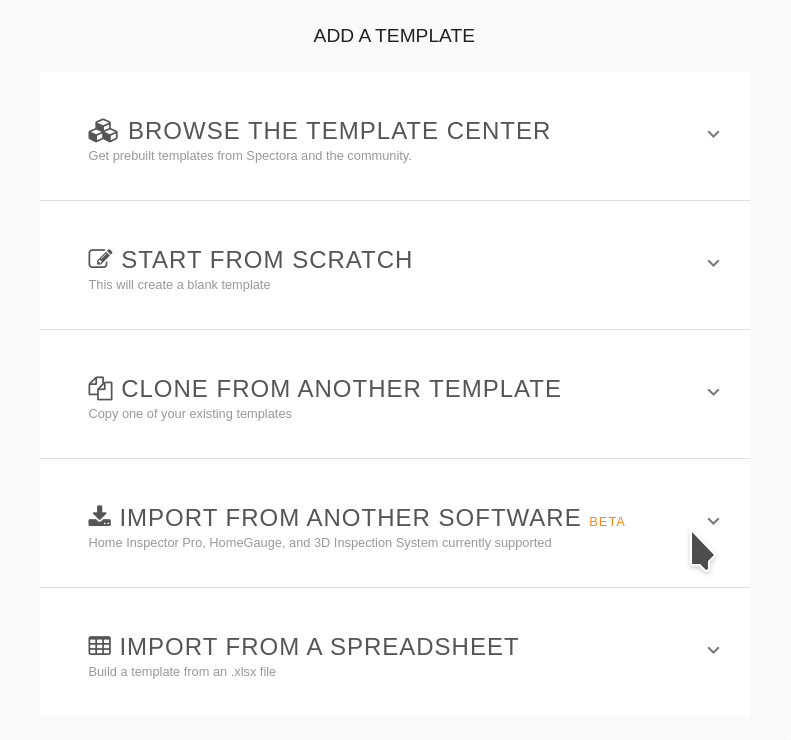 Now navigate to the Spectora Template Editor. Open the Menu at the top right and click Add Templates. Expand Import From Another Software. Click the Choose File button and select the .json file you downloaded from Dropbox earlier. Then click Import Template. Congratulations! At this point, you will just need to wait a few seconds and Spectora will load up a new template with all your old Spectacular comments!